I am one of three advisers for the Girl Advisory Board for our Service Unit. This was a group I started 4 years ago and then took a break from for 2 years while I figured out how to manage my time and balance my life. As I told the girls last night, I feel I'm pretty good at time management and organizational skills, but I do know I have flaws in those areas at times and it brings great stress and pressure to my world. Most of the time, it's self-imposed stress and pressure and not external, but nonetheless... it isn't fun to be anxious about getting a project completed. We meet once a month for 1 1/2 hours to recap and plan the next event for Cadette, Senior, and Ambassador troops in our area. The CSA group, as I fondly call them, are amazing. I love working with teens. They are at the point in their lives where they are planning for their future, transitioning from parents taking care of everything to earning a little freedom and responsibility, and they are very interesting. The last part of our meeting is a leadership workshop. We are going over various skills that they select and try to find a fun way to demonstrate the need for growth. My workshop for them this month was on Time Management. I found an article here: https://www.huffingtonpost.com/todd-vanduzer/7-time-management-techniq_b_8544898.html I redid the content in the article, because one thing I know about working with teens... they don't want to be talked down to or treated like little kids. I didn't want the handout I gave them to belittle them or make them feel as though it was a lecture from a parent. I wanted to turn it around to show them these are skills and tools that ALL ages benefit from utilizing, not just teens. Let's be real, when you read over them... they are most definitely things we all can use. We did the three activities listed on the Time Management sheet together. The girls did really well on this one actually. I set my timer and 2 of the girls actually opened their eyes right on time. 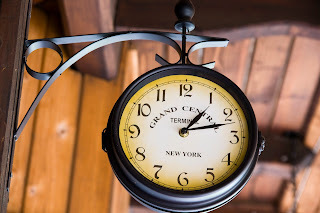 They did all agree that when you are waiting for 30 seconds to pass it seemed like forever, but when you are busy working on something time flies faster than you can imagine. We talked about how to better manage your time, you need to start timing yourself with various routine activities. How long does it take to get ready in the morning? How long do you need to get ready for bed? What is the length of time on an easy drive day to school? How about a traffic nightmare day? The more you can time routine activities, the more aware you become of how you are spending your time and how long things really take. 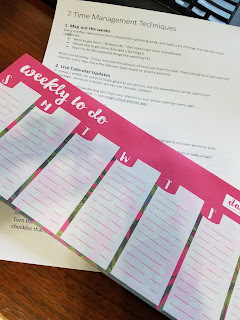 I shared the story of how I started tracking time for various activities and realized a task I often complained about was really only taking a few hours over a course of several months. Since I knew it was something that frustrated me, my compromise was to allocate time first in the morning and at the end of the day for this task. Then, it wasn't interrupting my other tasks and making me feel as though it monopolized my day. I found I was much more productive when I feel I have control of my time. Next, we did the Colored Blocks activity. I think they really enjoyed this. We went through it numerous times with different twists and they wanted to do it again, but we ran out of time once we completed the other activity and discussion. I didn't tell them how much time I was giving them, but I set the timer for 15 seconds each time. Round 1, I simply told them to use their non-dominant hand and pick up as many beads they could one at a time from the main dish and put them in their individual dish. The numbers collected ranged from 7-21. Round 2 most of the beads were assigned a point value. Yellow - 5, orange- 4, purple - 3, pink - 2, blue - 1. Any other color wasn't worth anything. Again, they were given 15 seconds. Points ranged from 49 to around 20. They noticed they had less beads in their dish this time. It was interesting to see how they decided to handle the points. A couple decided to still just try to get the most. Others decided to get only high point values. Another decided to go for low point value, as they reasoned there would be less demand for those and they would be easier to obtain. At this point, we compared the first 2 rounds. We talked about daily tasks and how some have more value than others, but all need completed. We discussed that there really isn't a right or wrong way to approach it, it's better to find out the way you work best. Some people tackle the big things first and then get to the small stuff. Others would rather get a lot of small things done first and out of the way, then focus on the big things. This is where it helps to know how long things are going to take and then you can allocate your time in the way you work best. Round 3: I paired them up and gave them very little warning. We kept the point system on the beads and I started the timer. There was very little time for them to discuss anything with their partner. Results were about the same as Round 2, but double the points as they were working as a team to get the beads. The final Round: I gave them 30 seconds to communicate with their partner about a strategy. When the timer was started, the groups grabbed the beads based on their plan. We had one group that split the task. One person went for only high point beads and the other for as getting the most they could get. Another group split the colors and each went for only their colors. The third team decided to have both just go for the most. The team that had one going for points and one for most had the most points. We discussed the various strategies and how none were wrong or right, but all represent a way that you can work in a group to complete a project. I let the girls discuss the pros and cons of each and come to their own conclusions on what they felt was best. The final activity was really just a demonstration of the Mayo jar. I didn't have enough supplies to have each of them do this, so I chose to just show them. 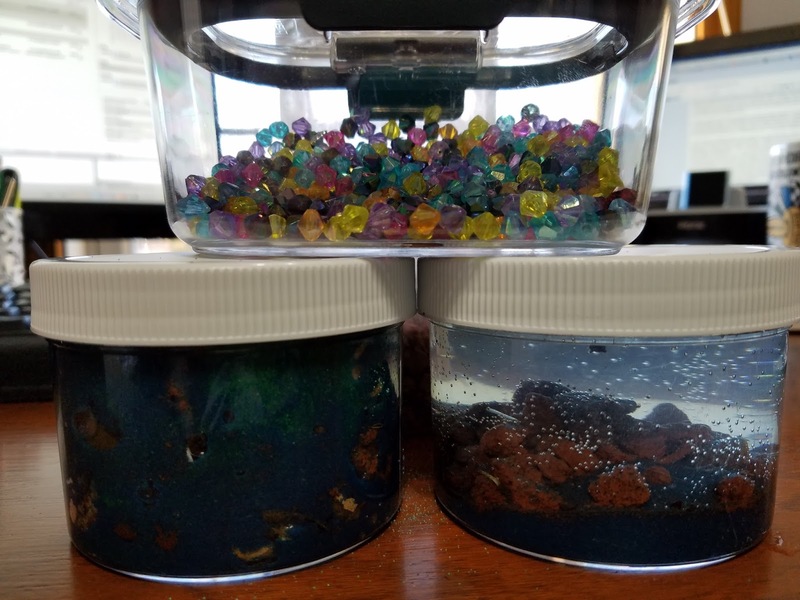 The first jar, I filled with rocks, then pebbles, then sand, then water. After each thing I would ask them "Is it full?" A couple of the girls had seen this before so they would say "No. you have air." They were still amazed with I pulled out the water and started pouring. I also took a table knife and shifted the contents to free up more space and add more water. I told them table knife represented the best laid plans for a day and how someone comes along and tries to shake it up and make more room even though you feel it's full. But, there was no way a rock or pebble sized task was going to fit... maybe a little water, but nothing too big. We talked about how the rocks represent the big stuff, the things that have to be done.. such as going to school, going to dance, or work. Pebbles were the things that could be... cleaning your room, fixing a meal rather than eating out, and the like. Sand were the tiny things we do that fill all the spaces between big and medium tasks... travelling, email, etc. Water were the less important tasks that don't necessarily need to be done, but we can fill the day with... social media, chatting in the hall, etc. For the 2nd jar, we started with water and I asked "If we start with water, what do we have room for?" It was a resounding "Nothing! Don't add anything!" I laughed and starting pouring sand. A tablespoon or so made it in the container and it didn't overflow to their amazement. Then I asked if they thought I could add pebbles? "NO!" I dropped a couple in and the water rose and capped the top of the container, but didn't spill... so we were very full, but okay. Lastly, I asked about the rocks. They said "Go ahead. It will make a mess." I gently placed one in and the water did overflow as expected. 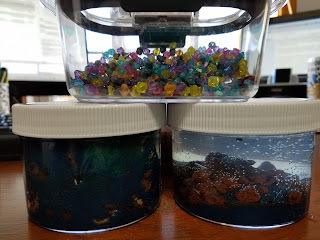 This opened a great discussion of how the containers each have at least one of each size task, but how the stress and anxiety rose with the second container, because we knew we filled the day with "water tasks" and left little or no room for anything else. We also discussed the importance of water tasks, too. I shared that I know if I go a few days without any "water activities" that I become very cranky. You need to find balance. You need to make sure you allow yourself time each day to unwind and relax. The result is a more productive day. When you know you have set aside 30 minutes or even 10 minutes to chat with a friend, catch up on Instagram, or read a book, it makes the rest of the day better. It gives you something to look forward to. After the three activities, we went over the 7 Techniques for Time Management. I explained that none of them are the only way to manage time. They need to try them out and see what works best for them. One of the girls said she got herself a whiteboard calendar this year and she loves it, because she feels she has a better handle on what is going on. Another girl shared her family has a calendar and the rule is "If it isn't on the calendar, it doesn't happen." Time management is something everyone struggles with from time to time. The sooner we help our next generation get a handle on the tools that help alleviate the stress that comes with it, the better. If nothing else, I hope they gleaned one thing from the session to help them in their daily lives. I also hope they are more aware that it's something that everyone struggles with at times and they are not alone. Taking a little time to figure out what works best for you, is a great first step.